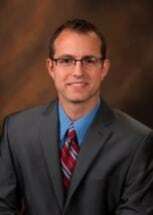 Andrew P. Dollman is an Associate in the firm’s Mechanicsburg office. He is a member of the firm’s Litigation Group, as well as the Labor and Employment Law Group. He handles collection matters, general litigation, and employment/labor law. Prior to joining the firm, Mr. Dollman worked in both private practice and the corporate sector. He has litigated cases across the Commonwealth of Pennsylvania in both state and federal courts including employment discrimination, unemployment, collections, medical malpractice, general liability, premises liability, insurance bad faith and coverage disputes, copyright, landlord-tenant and contracts cases. Mr. Dollman also has experience handling workers compensation and unemployment compensation hearings. Mr. Dollman earned his Juris Doctorate from Widener University School of Law and his Bachelor of Science in Elementary Education from Messiah College. He is admitted to practice in Pennsylvania and is admitted to the United States District Courts for the Middle and Eastern Districts of Pennsylvania and the United States Bankruptcy Courts for the Middle and Eastern Districts of Pennsylvania.